The Pharmacy Team at The Shrewsbury and Telford Hospital are a fun, friendly and sociable crowd. With a rounders team, running club, and departmental bake-offs, it’s a great team to join! 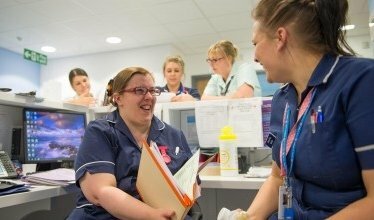 We are looking for people to join our highly motivated clinical pharmacy team, committed to delivering a forward-focused pharmacy service, built around our patients. 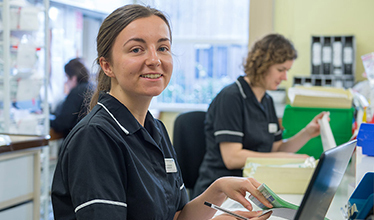 The department offers a comprehensive range of services and specialities and provides an ideal base to enable pharmacists to further develop their professional and clinical skills. There are great prospects for everyone, regardless of experience and qualifications. The highest priority for The Shrewsbury and Telford Hospital NHS Trust is to continue to improve the quality of the services we provide for our patients. 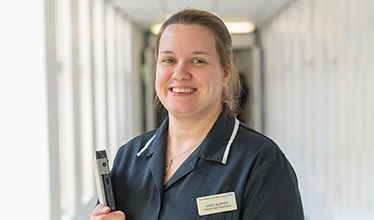 With a strong focus on ward based patient centred clinical care, you will be working within and supported by a team of pharmacists and medicine management technicians who are well integrated at ward level. There is a structured training programme for all levels of staff with internal training, case-based learning, or funding for your Diploma in Clinical Pharmacy (for Pharmacists) provided as a distance-learning programme through Keele University. Training and support is also available for Pharmacy Technicians to gain accredited checking status and medicines management training. Once you have joined our Trust we are committed to developing your career and will work hard to keep you with us. If you are interested in a Pharmacist position at the NHS, please complete your details below and a member of the team will be in contact.